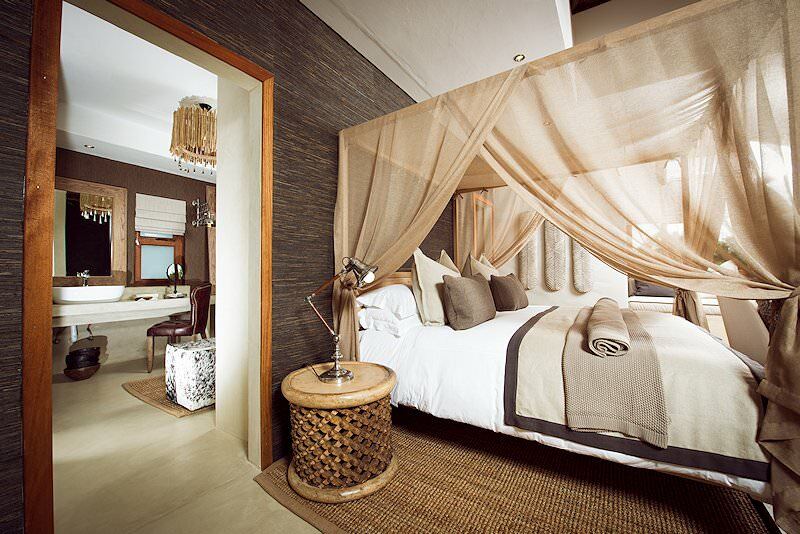 Sabi Sabi Bush Lodge offers luxury accommodation on safaris in the Sabi Sand Private Game Reserve. 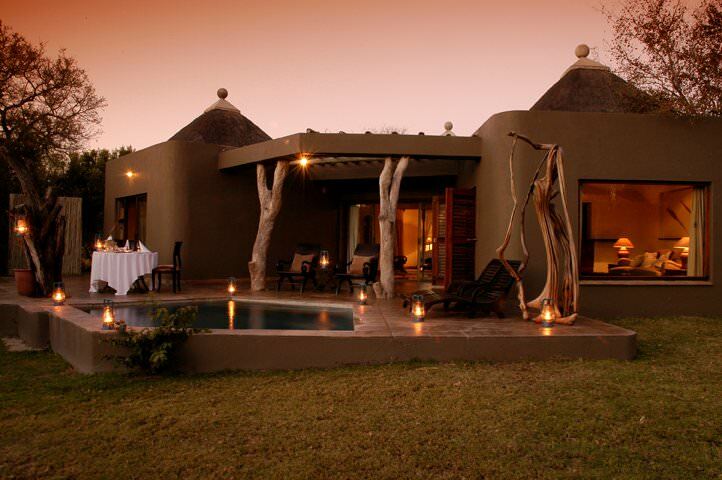 Sabi Sabi Bush Lodge lies in the southern section of the world-renowned Sabi Sand Reserve. 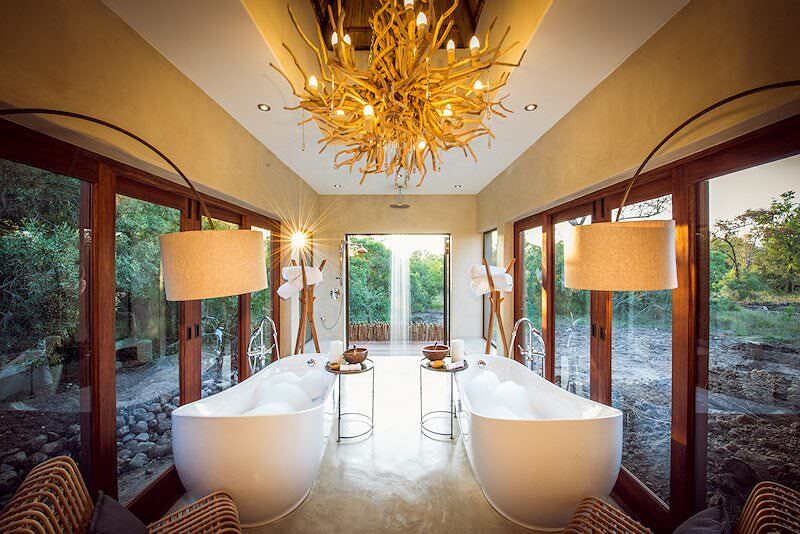 The reserve is home to most of the finest lodges available for a luxury safari in South Africa, and is generally regarded to be the finest game-viewing area in the country. It is home to the Big Five, as well as numerous other mammal species. Bush Lodge is situated next to a dry riverbed. 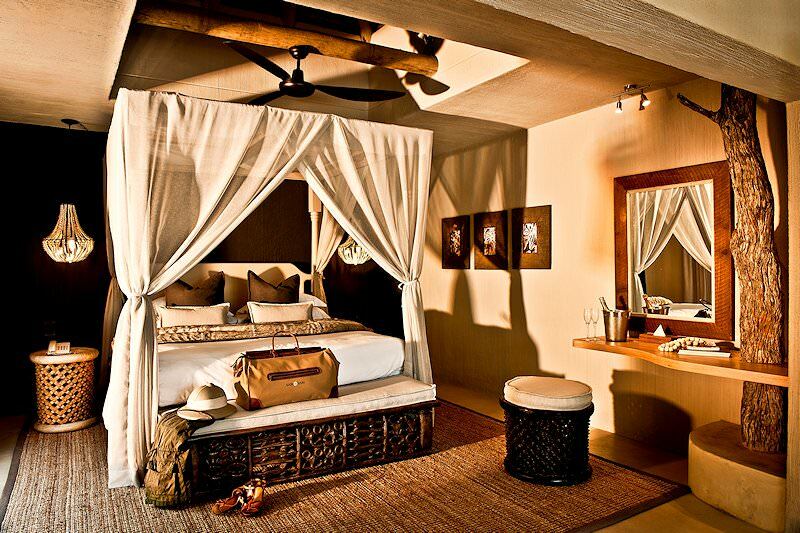 Each of the 25 suites are spacious and decorated in an ethnic theme. 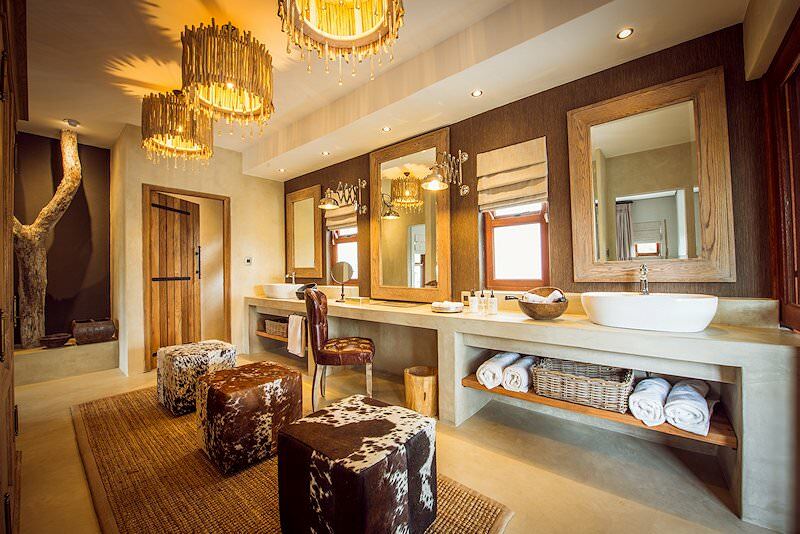 The suites offer all the amenities you would expect of a five star lodge, with en suite bathrooms, indoor and outdoor showers as well as air-conditioning, tea/coffee facilities and mini-bars. 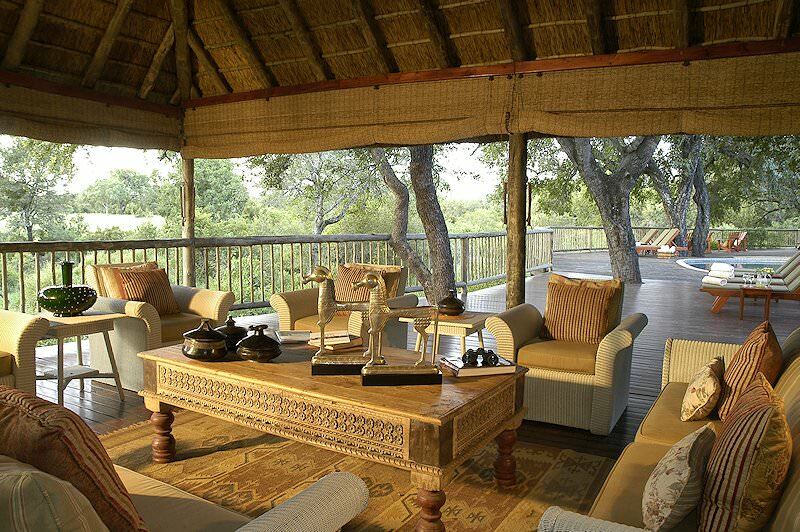 Each of the suites feature a veranda - the ideal location to relax and unwind during your safari. The main lodge features spacious central areas, which include a dining room, bar and lounge as well as a huge viewing deck from where the surrounding savanna and wildlife can be enjoyed. Meals are prepared to the highest standard and are served either in the dining room, on the deck or in the boma. 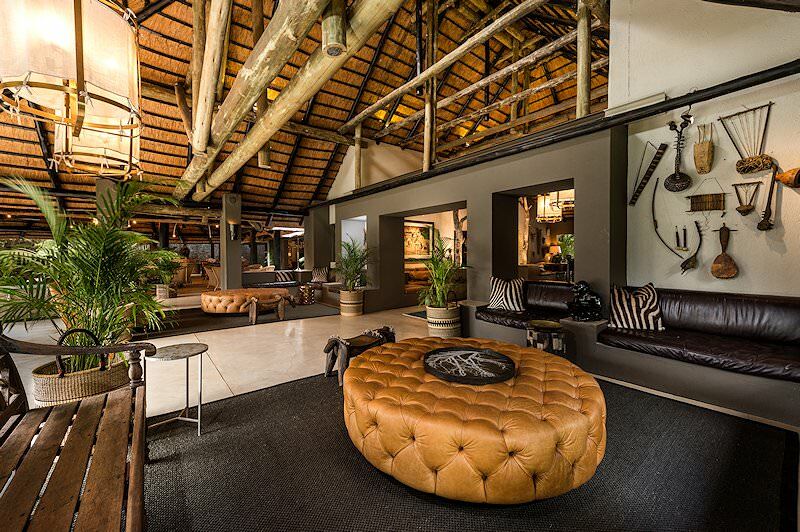 From O R Tambo International Airport in Johannesburg, guests will be chartered to the esteemed Sabi Sand Private Game Reserve and on to the shade-dappled luxury of Sabi Sabi Bush Lodge for their safari adventure. From game drives twice a day to elective interpretive walking safaris, visitors are sure to meet the magnificent Big Five during their safari package. A dip in one of the lodge's pools will drain the heat from your skin, or, for surplus soothing magic, unwind in the lodge's tranquil Amani spa with its variety of signature beauty and relaxation treatments. 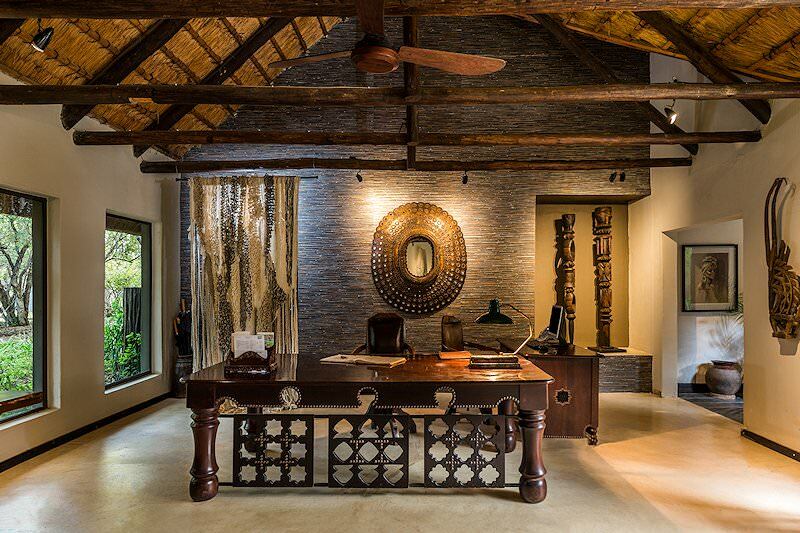 Delectable mealtimes in the boma are announced by the wild bray of a kudu horn. Themed dinners for special occasions are offered as an additional option, as well as informative cultural community tours in the local Shangaan villages. 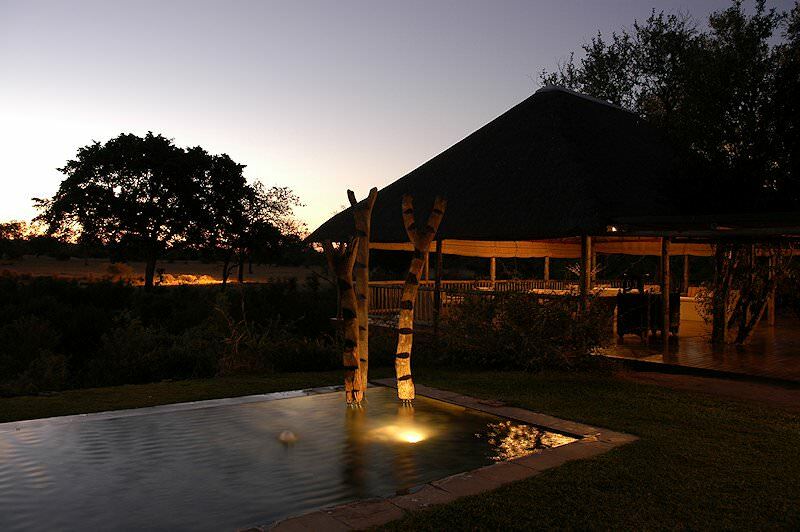 For over thirty years, the Sabi Sabi Private Game Reserve has welcomed clients on safaris to South Africa. Bush Lodge offers quality five star accommodation, good Big Five safari activities and hospitality	which has gained international renown. The lodge is fairly large and I would recommend considering Kings Camp to clients interested in a more personal and intimate five star safari lodge experience. 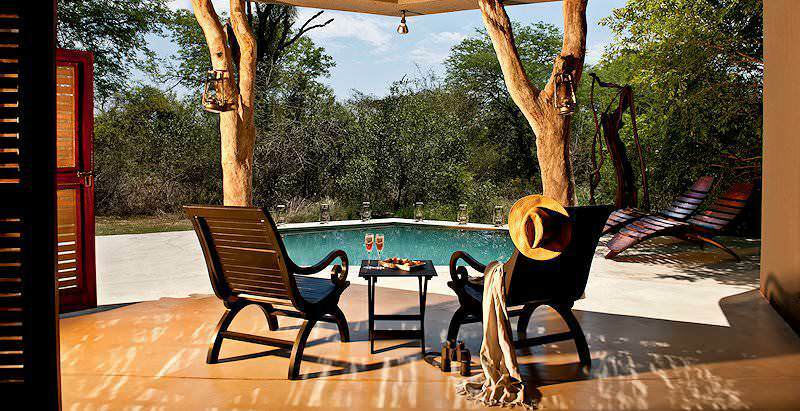 That being said, you will most definitely have a most enjoyable safari if you decide on Sabi Sabi Bush Lodge. 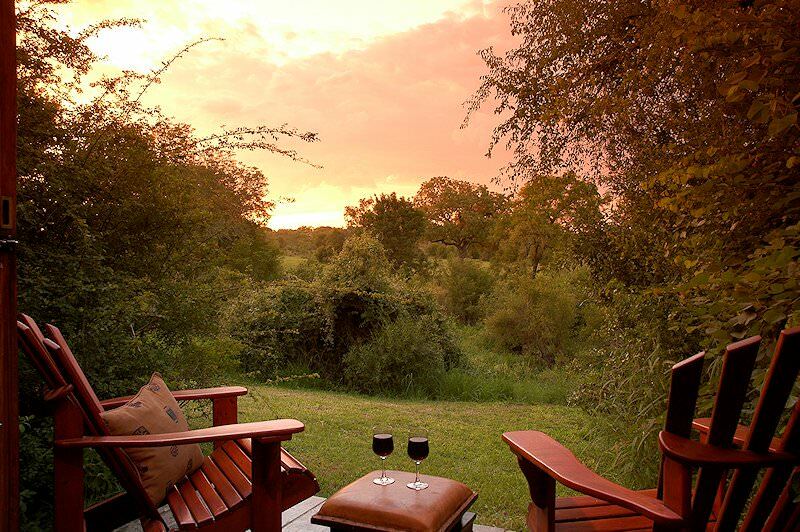 South Africa offers a handful of malaria-free reserves that are ideal for family safaris. Namibia's safari destinations range from arid Etosha to lush Caprivi. 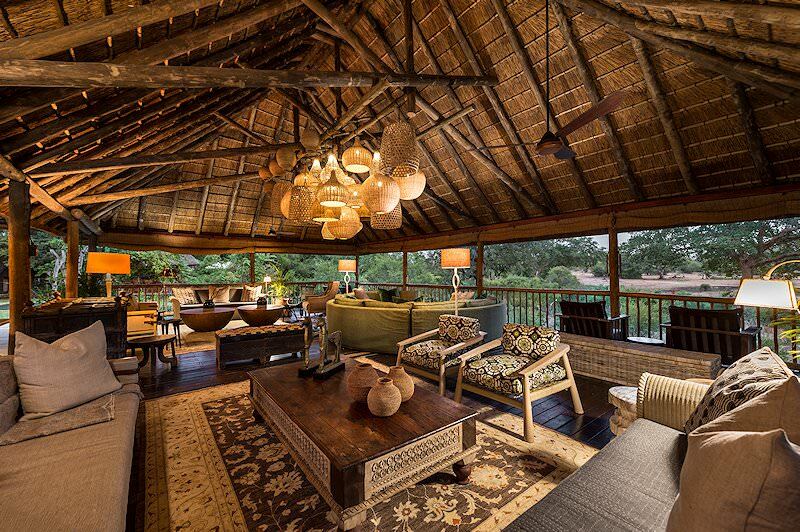 Travel to Zambia for an authentic safari reminiscent of years past. Zimbabwe is home to destinations like Vic Falls, Hwange and Mana Pools. Mozambique is a tropical paradise of colorful coral reefs and remote archipelagos. The Kruger National Park safaris offered by African Sky also include the fine private reserves on its border, from Sabi Sand to Balule. 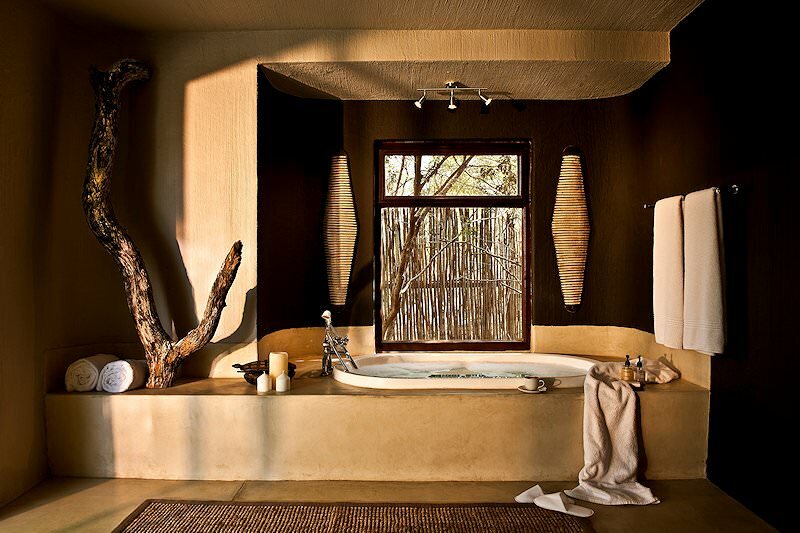 A luxury African safari will transport you to a bewitchingly wild setting, like South Luangwa or the Linyanti Marsh. The Big Five offer some of the most memorable sightings on safari, like being surrounded by a herd of buffalo or finally spotting the shy leopard. A choice collection of African lodges feature in our safari itineraries, from Chobe Chilwero in Botswana to Medjumbe Island in Mozambique.